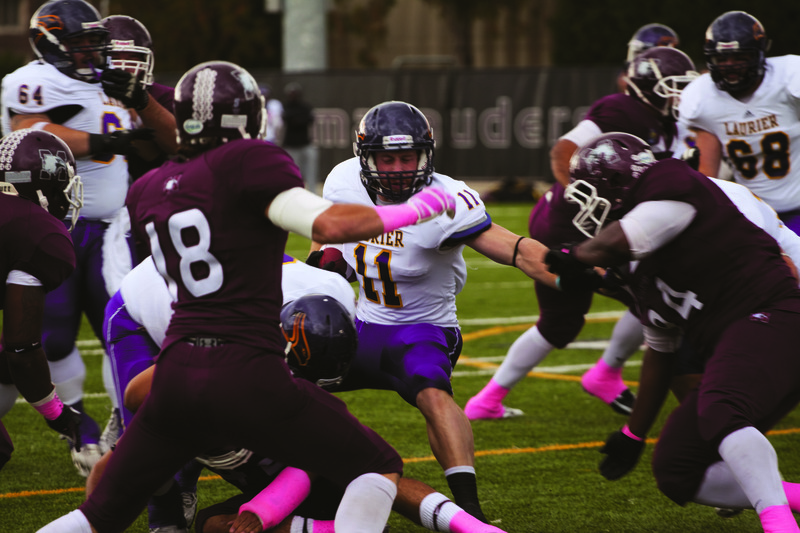 When May 6’s CFL Draft rolled around, Wilfrid Laurier University prospects Isaac Dell and Alex Anthony were in the comfort of their hometowns, surrounded by family and friends. 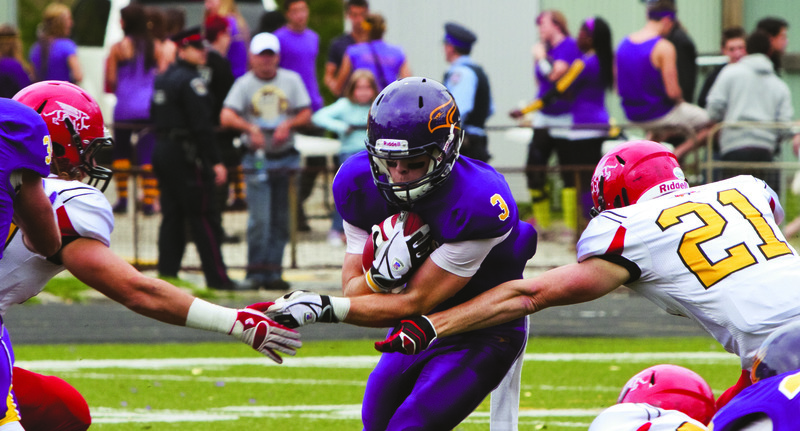 It had been a long-time coming since Dell and Anthony stepped on the field at TD Waterhouse Stadium in London for the East West Bowl last year, an opportunity for CFL scouts to see the up-and-coming prospects. Since then, phone calls poured in from different teams with questions and potential interest. But when full back Dell saw his name pop up 37th overall to the Hamilton Tiger-Cats, and receiver Anthony was drafted two picks later to the Saskatchewan Roughriders, it didn’t seem real. In the fifth round of Monday’s draft, Dell was selected first by the Tiger-Cats. 30 seconds after his name was called, the Roughriders selected Waterloo Warrior’s offensive lineman Matt Vonk. Following Vonk, the Roughriders also selected Anthony. 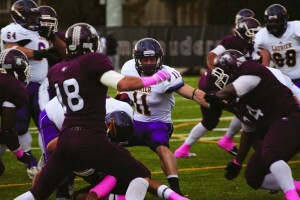 Laurier head coach Michael Faulds also expressed his congratulations for his veteran players. Faulds said he texted both Anthony and Dell the morning of the draft wishing them luck and kept track of where his players ended up. “I know they were glued to their TV screens anxiously waiting for their names to be called,” he laughed. According to Anthony, each player signs a contract to be eligible to participate at the camp, at which time one of three things can happen. “You can make the final roster at the end of training camp and they honour that contract, or they can ask you to stay on the practice roster, so you practice everyday with the team but you don’t play,” Anthony explained. Both Dell and Anthony said they are unsure of what they will do if they are released, but are keeping an open mind to returning to Laurier if the situation calls for it. “It’s a tough question to answer, because it depends on so many variables,” Dell said. “I think having that fifth year of eligibility and the fact that I still have to finish up a few classes, I think I’d be pretty likely to come back. That being said, you can kind of finish school whenever, you can’t necessarily play football for too long. “It’d be nice to come back and use my last year of eligibility, so I kind of just have to see what happens with training camp. The goal right now is to make that final 43-man roster at the end of camp,” Anthony echoed. As for Faulds, he said he’d welcome both veterans back with open arms. “As a coach, you wish the best that they get drafted and do really well, but selfishly you want them back,” he said. “Not only what they do on the field, but they’re natural leaders. Especially since my transition in January, they’ve made my job a lot easier with how respectful they are and they listen to everything I say, they’ve led their younger teammates.